The Samurai, legendary warriors that actually did a lot more than fight with katanas. They were more or less government employees that were highly trained in cultural customs as well as warfare. One such job was diplomat. By the 1500s, The Japanese had some interaction with Europeans but it was minimal, some trade and whatnot. Hasekura Tsunenaga was the first official ambassador to Europe. 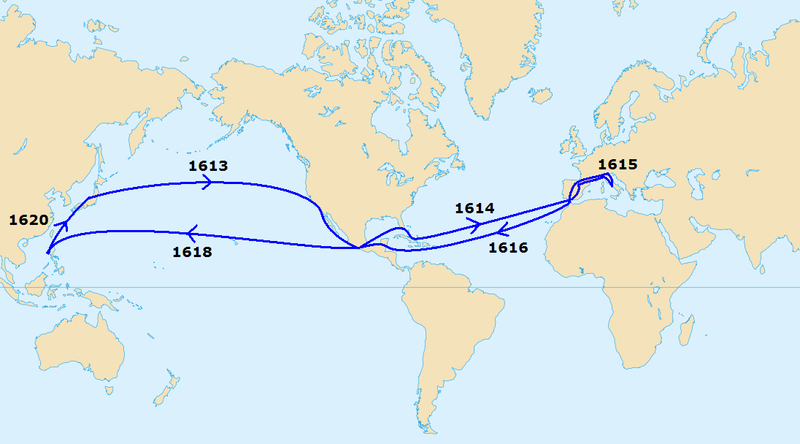 Tsunenaga embarked on a journey to Europe and North America in 1613. 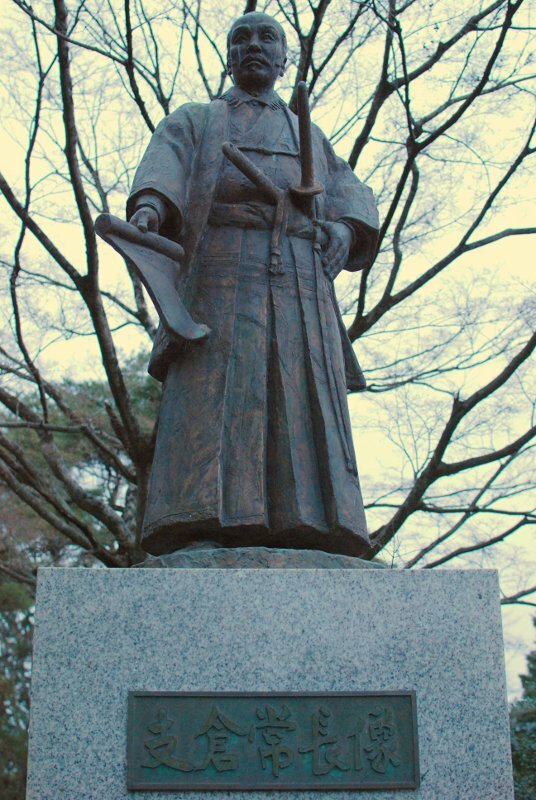 Tsunenaga was born in 1571. Aside from that not much is actually known about his life. He came from a family of samurai. Like his father, Hasekura Tsunenari, he was trained as a samurai. Eventually, Tsunenaga became a mid-level samurai and retainer under Date Masamune in the Sendai domain. 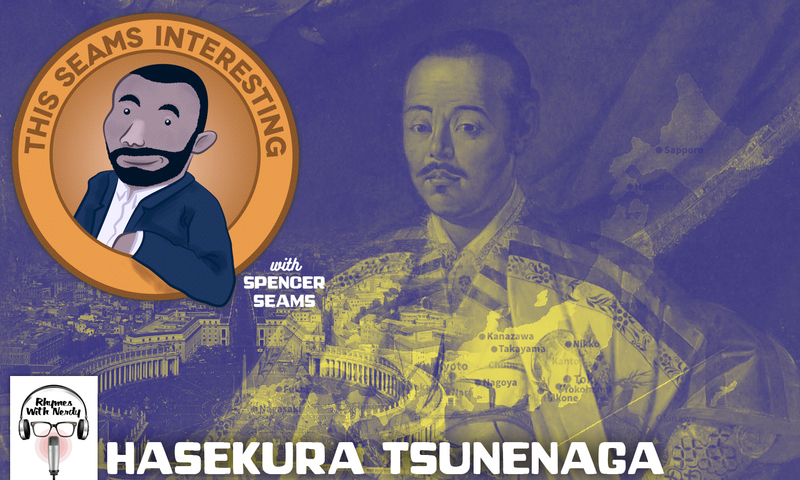 Things both personally and professionally shook up Tsunenaga’s life in 1612. His father, Tsunenari was indicted for corruption and had his fief seized by Masamune. Not only that but Tsunenaga was supposed to be executed. However, this didn’t happen. Masamune had a plan. He wanted to let Christian missionaries in his domain. The Emperor and other Shoguns were decidedly against having any Western influence. They were trying to outlaw Christians from entering Japan. So, Masamune went rogue and defied them. He wanted to send an ambassador to meet with King Felipe III of Spain and Pope Paul V to organize a massive influx of Christian missionaries to convert Sendai (and possibly Japan), and to establish trade with Europe via the Spanish. nd had years of experience sailing. Also, he didn’t want to die. Regardless of the outcome, the Hasekura estate would be restored and Tsunenaga would live. On September 15, 1613 Tsunenaga left aboard the San Juan Bautista or as the Japanese called it the Date Maru, a Spanish Galleon built in Japan. It took 800 shipwrights, 700 smiths, 3000 carpenters, and 45 days to complete. The crew was 180, a mix of Spanish, Portuguese, and mostly Japanese, in total. First stop, New Spain aka Mexico. They arrived in 1614. Meanwhile in Japan, the shoguns and Emperor were cracking down on Jesuits. They’d been hanging around since 1549. The Japanese leaders had had enough and outlawed any Christian missionaries from entering Japan. Effectively, cutting off their trade relationships with the Portuguese and Dutch. The Jesuits present were forced to leave. This was the start of cutting ties with the West. The Date Maru landed in Acapulco, New Spain. Shortly after they met with the local Spanish viceroy. It went well though there isn’t much information on what exactly was discussed. They stayed for a bit. The Date Maru left with a fleet of Spanish escorts but a tropical storm forced them to stay hunker down in Cuba until it passed. On October 5, 1614, the fleet reached Sanlucar de Barra, Spain. Evidently, they loved Spain and stayed there for 8 months. The meeting with King Felipe III went swimmingly. To cement the deal to trade goods with Spain, Tsunenaga was baptized a Catholic by the Archbishop of Toledo. His godfather was the Duke of Lerna. Tsunenaga’s Christian name was Don Filippo Francisco Hasekura-Rokuemon. King Felipe and Tsunenaga bro-ed out for a while then he had to leave to meet the Pope. Before reaching Rome, they stopped in France and Italy shortly. Apparently, it wasn’t as fun Spain. After taking in the Mediterranean coast, they finally met the pope. Just like with Felipe III, Pope Paul V loved him and agreed to send missionaries to Japan. The Pope loved him so much that Tsunenaga is made an honorary Roman and nobleman. Thus making him, the pope’s and the Vatican’s favorite samurai. They returned to Spain ASAP. However, Felipe III had bad news. He found out that the emperor and shoguns outlawed Christian missionaries from entering Japan. The deal was off but they stayed in Spain for as long as they wanted. They hung out in Spain for a bit and eventually left. The Date Maru left in July 1616. Once it landed in New Spain, a few samurai ran away. They didn’t stay quite as long before but still took their time to get back. Next stop, the Philippines for 2 more years. Then they finally return to Sendai with the news in 1620. So, this mission was a giant waste of time and money but Tsunenaga had a great 7-year vacation. 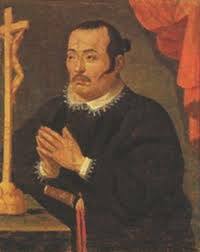 Tsunenaga died in 1622 from illness. His grave is unknown and 3 different graves are allegedly his. Most of his life unknown except for this brief 7 years, where a local governor sent him on a mission to undermine the national government’s official policies. It failed completely but if you got a free ticket to Europe on “official” business wouldn’t you take your time too. This was almost completely forgotten by for 250 years, until the Japanese opened up their borders again to Westerners.